"Creepypasta" can be viewed as the internet's equivalent to a scary campfire story. Sometimes, an example of this online storytelling starts and ends with a single online post that functions as self-contained short fiction, perhaps generating posts in the comments section underneath that accentuate the attempted real-world presence of the piece; other times, it involved a string of participants that add to the urban legend mythology or straight-up expand upon the tale itself. One of such phenomenon involves Candle Cove (click here for the original text), a mythical ‘70s television show that featured pirates engaging in unsettling and borderline macabre behavior, which author Kris Straub capped off with a stinger of a twist ending that made the reader question anyone who's seen the program. That show proves to be the basis for the premiere season of Channel Zero, Syfy's take on the horror anthology concept, though the end result indicates that conciseness and preserved mysteries suit these kinds of stories better than a six-episode miniseries. Mike Painter (Parks and Recreation's Paul Schneider) leaves his successful life as a high-profile, published child psychologist to return to his small hometown of Iron Hill, Ohio, sparked by a recurrence of nightmares revolving around his old traumatic childhood. When he was younger, several kids close to Mike were murdered by a serial killer, an act that was tied to the weirdness of a television show: Candle Cove, which, like the aforementioned creepypasta discussion thread, involved pirate puppets doing bizarre things. Around the time of the murders, the show also vanished off the airwaves … but has apparently started airing again, as reported by the daughter of Mike's childhood friend Gary. Seeing this as strange, Mike begins pursuing answers about the events of his childhood and how they pertain to his twin brother, Eddie, who was one of the killer's victims. Suspicion goes in many different directions, even toward Mike, as the mysteries of Candle Cove -- and about the murders -- resurface in Iron Hill. Those who've grown accustomed to the visual appeal of other anthology series, such as American Horror Story or Black Mirror, will find a more stripped-down and run-of-the-mill experience in Channel Zero: Candle Cove. Beyond a few inspired costume choices involving a skeleton puppet-like costume and a creature sporting lots -- and lots -- of teeth, the show revolves around conversations in shadowy houses and closed-in shots of the forest that focus more on a grounded murder-mystery aesthetic than an imaginative horror demeanor. Especially in the first couple of episodes designed to set the stage for the connections to the television show from the '70s ‘80s, a period in which the essence of the show feels plucked from, the focus meanders between the drama of childhood trauma and the emerging supernatural associations with the city of Iron Hill, attempting a hybrid of unsettling realism and flickers of fantasy. Instead of appearing versatile, this results in static lead up that, despite the eeriness of the premise itself, struggles with an absence of palpable atmosphere. The grimness of the premise plays a big part in Channel Zero's issues, which only deepen as the show reveals how the writing underneath Nick Antosca intends on expanding the creepypasta story's spook factor. Already, the murders of children associated with this television series strikes a disturbing chord that resonates throughout the season, with the vagueness of the broadcast's power over the citizens of Iron Hill -- and beyond -- holding back until the time's right since, well, there isn't much to the physical mechanisms of its influence. To fill that void, Channel Zero attempts to shock those watching with consistent and thematically outrageous violence, sometimes hinged on paranormal abilities that haven't been fleshed out enough to fit into the story beyond their immediate impact upon what happens next. There's certainly intensity involved with the episodes' progression, as expected from one of the co-producers of Hannibal as the showrunner, but it doesn't translate into an effective escalation of terror. 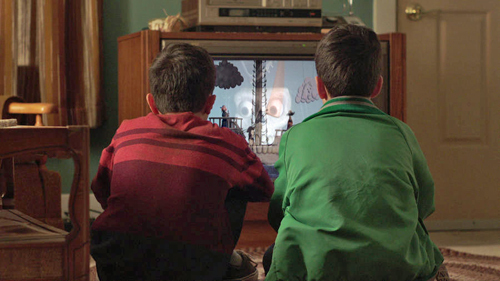 With that in mind, there's still an undeniable pull to discover more about the weirdness and hypnotic power of "Candle Cove", as well as the end game of the show's creators, which might still compel those watching to follow Channel Zero's premiere season to its bitter end. The construction of the show doesn't make that easy, in which bits-‘n-pieces of intrigue are drowned out by absurd shock-value writing and performances that range from routinely mysterious -- especially Paul Schneider as the growingly suspicious child psychologist -- to unconvincing on a distracting level. Whether that adds to the zany charm of the show or not will depend on who's watching, but the heaviness of the subject matter tends to lead that in one direction above the other. Ultimately, it's the foundation of the original creepypasta concept itself that'll keep some viewers hooked on Channel Zero: Candle Cove, which constantly struggles to hold interest alongside the meandering personal drama and outlandish twists that extend it into a series. Channel Zero: Candle Cove latches onto a muted palette populated mostly with browns and tans that give it a hazy, somewhat David Fincher-like appearance both in modern-day settings and in flashbacks, though it doesn't restrain certain boosts in color to come through. Universal's 1:78.1-framed, 16x9 enhanced transfer makes the most of the digital photography's delights of fine detail -- ornate teeth, costume designs, and images of a television show observable through TV static -- with strong contours and stable clarity, while projecting as much texture in skin and garments during closeups as it can. Skin tones are reputably warm within the color scheme's intentions, while a few bursts of color in foliage, toys, and costume adornments project fairly strong yet properly controlled shades. Contrast holds its own in ample darkness and respect to details, enhancing depth where it can. In the absence of a high-definition release, the six episodes spread across two discs amount to a reputable presentation. The 5.1 Dolby Digital tracks serve the show's intentions well enough, though the sonic design doesn't really attempt to expand beyond broadcast television's scope as often as it probably should. Gnashing of teeth, ringing in ears, and the hiss of static add a few succinct examples of nuanced clarity, sprawling out in the front channels but finding most of their strength at the center of the track. Dialogue often stays at lower, whispered tones, but audibility never suffers due to the track's capable balance alongside the other channels. Lower-end activity isn't frequent, aside from a few bodily thumps here and there, nor is there a lot to work with in terms of surround immersion, aside from chatter at a diner and the rustling of leaves. The tracks are suitable, sport no distortion, but ultimately don't offer much to get excited about in terms of horror atmosphere. English SDH subs accompany the release. Deleted Scenes for relevant episodes appear on both discs, but that's it. 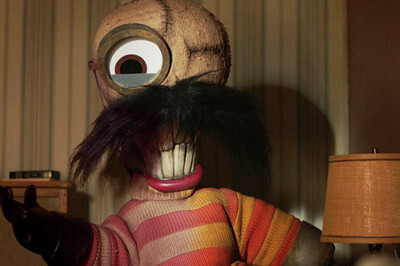 If we weren't in the midst of something of a horror-show renaissance, Channel Zero: Candle Cove might've generated more enthusiasm toward its adaptation of an online "creepypasta" story involving a pirate-themed puppet show that influenced its viewership in the ‘80s. That on-paper concept itself continues to draw one's interest in a six-episode television format that compellingly visualizes aspects of the tale, but the additions that extend it to that length take away from the straightforward eeriness captured by the premise, obscured by overly exaggerated supernatural drama and thrills. Couple that with the pitfalls of television series limitations, from oddities of per-episode horror writing to disruptive performance value and mannerisms borrowed from other sources, and what's left is an installment in the horror anthology subsection that's merely worth a Rental for the progression of curiosity in the underlying concept, not for the oddities that expand it to a series length.